Perth District Health Unit is giving away a 9” foldable Try It! Frisbee flyer with its own storage pouch to children and youth who email them telling about a new activity they have tried or ways that they are physically active. The email should be sent to tryit@pdhu.on.ca and include name, phone number and address. It is part of a campaign to encourage St Marys children and youth to be physically active at least 90 minutes a day. Statistics Canada released figures this week that show that St Marys population has grown from 6,293 in 2001 to 6,617 in 2006, an increase of 5.1%. Surrounding Perth South had their population decrease from 4,299 to 4,132 and Stratford's population increased by 2.3% to 30,461. During the same period Ontario's population grew by 6.6%. The census also showed St Marys has 2,733 private dwellings. Next Tuesday, March 20 at 6:30 author Deborah Ellis will be speaking at a fundraising raising dinner at the St Marys Community Centre. Proceeds from the dinner will go to Women Breaking Bread for Women who will use it to support teachers in Afganistan. Deborah Ellis volunteered at an Afghani refugee camp in Pakistan in 1999 which inspired her to write The Breadwinner that tells the story a young woman who cuts off her hair and poses as a boy so that she can support her family in Taliban-ruled Afghanistan. 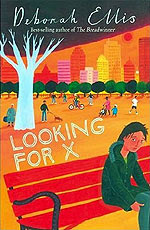 Ms Ellis is also the author of Looking For X which won the 2000 Governor-General's Award for Children's Literature. Tickets are available for $25 each at the St Marys Library which is also selling her books with proceeds going to the event. Via has resumed its rail service to St Marys. On Monday, due to bad weather, a Goderich-Exeter Railway freight train was stuck outside of St Marys blocking the track between Kitchener and London. At the same time the 401 was closed at Woodstock so VIA was unable to provide an alternate bus service for its passengers. On Tuesday buses were available when the roads were reopened and today with the clearance of track rail service is back to normal. Goderich-Exeter Railway, based in Kitchener, is a short line freight railway that operates 169 miles of track in Southwestern Ontario.